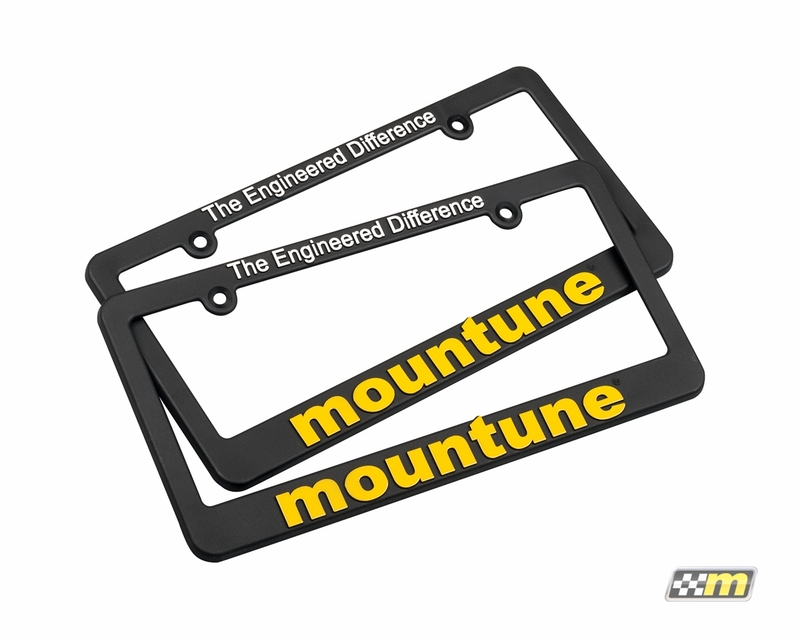 The mountune license plate frame is molded from high quality ABS plastic with raised logos featuring durable vibrant printing. These are the perfect complement to any fast Ford and feature the traditional "mountune" logo across the bottom and our corporate logo , "The Engineered Difference" prominatly at the top. Sold as a set of two. I like to represent and advertise companies that have products that I know and respect. Great frame. Might recommend some pass through holes at the bottom for the rubber grommets to allow a more "flush to surface" look. Looks clean, great product. Very satisfied with all products I’ve bought from Mountune.